Srry for the late posts.........Tho yeh Zindagi tho chalte rahthe hain.......Usko samalna apni par hain.. 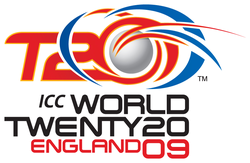 In the IPL Deccan Chargers won the title against Royal Challengers.The T20 fever spread lika a virus around the world.Now it's ICC20-20 world cup goin on.League matches are done ,and from today Super-8 matches are goin 2 held.Interestingly Australia knocked out of the tournament. Comin 2 movies there are no big releases in bolly bcaz of some kind of rift goin on b/w Multiplex owners.In tollywood still Kick is running successfully.There is much Hype in the movie Pista. But it's drastically failed 2 entertain the audience.Same old story,poor editing.Overall if u want to get headache ,I opt u guyz 2 watch dis movie.Even there is much hype on Chandra Sekhar Yelati's PRAYANAM.But,dis movie is average ,some audi's likin it and some don't.Even RIDE can be watched for once.For dis movie singer HemaChandra has given Music for the first time.Now everybody is eyeing on the release of Siddharth's OY.In dis movie Childhood Artist Baby Shamilee is the heroine .Songs are good.Let's wait for the movie OY.